YUSUFALI: Thus doth (He) send inspiration to thee as (He did) to those before thee,- Allah, Exalted in Power, Full of Wisdom. PICKTHAL: Thus Allah the Mighty, the Knower inspireth thee (Muhammad) as (He inspired) those before thee. SHAKIR: Thus does Allah, the Mighty, the Wise, reveal to you, and (thus He revealed) to those before you. YUSUFALI: To Him belongs all that is in the heavens and on earth: and He is Most High, Most Great. PICKTHAL: Unto Him belongeth all that is in the heavens and all that is in the earth, and He is the Sublime, the Tremendous. SHAKIR: His is what is in the heavens and what is in the earth, and He is the High, the Great. YUSUFALI: The heavens are almost rent asunder from above them (by Him Glory): and the angels celebrate the Praises of their Lord, and pray for forgiveness for (all) beings on earth: Behold! Verily Allah is He, the Oft-Forgiving, Most Merciful. PICKTHAL: Almost might the heavens above be rent asunder while the angels hymn the praise of their Lord and ask forgiveness for those on the earth. Lo! Allah, He is the Forgiver, the Merciful. SHAKIR: The heavens may almost rend asunder from above them and the angels sing the praise of their Lord and ask forgiveness for those on earth; now surely Allah is the Forgiving, the Merciful. YUSUFALI: And those who take as protectors others besides Him,- Allah doth watch over them; and thou art not the disposer of their affairs. PICKTHAL: And as for those who choose protecting friends beside Him, Allah is Warden over them, and thou art in no wise a guardian over them. YUSUFALI: Thus have We sent by inspiration to thee an Arabic Qur'an: that thou mayest warn the Mother of Cities and all around her,- and warn (them) of the Day of Assembly, of which there is no doubt: (when) some will be in the Garden, and some in the Blazing Fire. PICKTHAL: And thus We have inspired in thee a Lecture in Arabic, that thou mayst warn the mother-town and those around it, and mayst warn of a day of assembling whereof there is no doubt. A host will be in the Garden, and a host of them in the Flame. SHAKIR: And thus have We revealed to you an Arabic Quran, that you may warn the mother city and those around it, and that you may give warning of the day of gathering together wherein is no doubt; a party shall be in the garden and (another) party in the burning fire. YUSUFALI: If Allah had so willed, He could have made them a single people; but He admits whom He will to His Mercy; and the Wrong-doers will have no protector nor helper. PICKTHAL: Had Allah willed, He could have made them one community, but Allah bringeth whom He will into His mercy. And the wrong-doers have no friend nor helper. SHAKIR: And if Allah had pleased He would surely have made them a single community, but He makes whom He pleases enter into His mercy, and the unjust it is that shall have no guardian or helper. PICKTHAL: Or have they chosen protecting friends besides Him? But Allah, He (alone) is the Protecting Friend. He quickeneth the dead, and He is Able to do all things. SHAKIR: Or have they taken guardians besides Him? But Allah is the Guardian, and He gives life to the dead, and He has power over all things. YUSUFALI: Whatever it be wherein ye differ, the decision thereof is with Allah: such is Allah my Lord: In Him I trust, and to Him I turn. PICKTHAL: And in whatsoever ye differ, the verdict therein belongeth to Allah. Such is my Lord, in Whom I put my trust, and unto Whom I turn. SHAKIR: And in whatever thing you disagree, the judgment thereof is (in) Allah's (hand); that is Allah, my Lord, on Him do I rely and to Him do I turn time after time. YUSUFALI: (He is) the Creator of the heavens and the earth: He has made for you pairs from among yourselves, and pairs among cattle: by this means does He multiply you: there is nothing whatever like unto Him, and He is the One that hears and sees (all things). PICKTHAL: The Creator of the heavens and the earth. He hath made for you pairs of yourselves, and of the cattle also pairs, whereby He multiplieth you. Naught is as His likeness; and He is the Hearer, the Seer. SHAKIR: The Originator of the heavens and the earth; He made mates for you from among yourselves, and mates of the cattle too, multiplying you thereby; nothing like a likeness of Him; and He is the Hearing, the Seeing. YUSUFALI: To Him belong the keys of the heavens and the earth: He enlarges and restricts. The Sustenance to whom He will: for He knows full well all things. PICKTHAL: His are the keys of the heavens and the earth. He enlargeth providence for whom He will and straiteneth (it for whom He will). Lo! He is Knower of all things. SHAKIR: His are the treasures of the heavens and the earth; He makes ample and straitens the means of subsistence for whom He pleases; surely He is Cognizant of all things. YUSUFALI: The same religion has He established for you as that which He enjoined on Noah - the which We have sent by inspiration to thee - and that which We enjoined on Abraham, Moses, and Jesus: Namely, that ye should remain steadfast in religion, and make no divisions therein: to those who worship other things than Allah, hard is the (way) to which thou callest them. Allah chooses to Himself those whom He pleases, and guides to Himself those who turn (to Him). PICKTHAL: He hath ordained for you that religion which He commended unto Noah, and that which We inspire in thee (Muhammad), and that which We commended unto Abraham and Moses and Jesus, saying: Establish the religion, and be not divided therein. Dreadful for the idolaters is that unto which thou callest them. Allah chooseth for Himself whom He will, and guideth unto Himself him who turneth (toward Him). SHAKIR: He has made plain to you of the religion what He enjoined upon Nuh and that which We have revealed to you and that which We enjoined upon Ibrahim and Musa and Isa that keep to obedience and be not divided therein; hard to the unbelievers is that which you call them to; Allah chooses for Himself whom He pleases, and guides to Himself him who turns (to Him), frequently. YUSUFALI: And they became divided only after Knowledge reached them,- through selfish envy as between themselves. Had it not been for a Word that went forth before from thy Lord, (tending) to a Term appointed, the matter would have been settled between them: But truly those who have inherited the Book after them are in suspicious (disquieting) doubt concerning it. PICKTHAL: And they were not divided until after the knowledge came unto them, through rivalry among themselves; and had it not been for a Word that had already gone forth from thy Lord for an appointed term, it surely had been judged between them. And those who were made to inherit the Scripture after them are verily in hopeless doubt concerning it. SHAKIR: And they did not become divided until after knowledge had come to them out of envy among themselves; and had not a word gone forth from your Lord till an appointed term, certainly judgment would have been given between them; and those who were made to inherit the Book after them are most surely in disquieting doubt concerning it. YUSUFALI: Now then, for that (reason), call (them to the Faith), and stand steadfast as thou art commanded, nor follow thou their vain desires; but say: "I believe in the Book which Allah has sent down; and I am commanded to judge justly between you. Allah is our Lord and your Lord: for us (is the responsibility for) our deeds, and for you for your deeds. There is no contention between us and you. Allah will bring us together, and to Him is (our) Final Goal. PICKTHAL: Unto this, then, summon (O Muhammad). And be thou upright as thou art commanded, and follow not their lusts, but say: I believe in whatever scripture Allah hath sent down, and I am commanded to be just among you. Allah is our Lord and your Lord. Unto us our works and unto you your works; no argument between us and you. Allah will bring us together, and unto Him is the journeying. SHAKIR: To this then go on inviting, and go on steadfastly on the right way as you are commanded, and do not follow their low desires, and say: I believe in what Allah has revealed of the Book, and I am commanded to do justice between you: Allah is our Lord and your Lord; we shall have our deeds and you shall have your deeds; no plea need there be (now) between us and you: Allah will gather us together, and to Him is the return. YUSUFALI: But those who dispute concerning Allah after He has been accepted,- futile is their dispute in the Sight of their Lord: on them will be a Penalty terrible. PICKTHAL: And those who argue concerning Allah after He hath been acknowledged, their argument hath no weight with their Lord, and wrath is upon them and theirs will be an awful doom. SHAKIR: And (as for) those who dispute about Allah after that obedience has been rendered to Him, their plea is null with their Lord, and upon them is wrath, and for them is severe punishment. YUSUFALI: It is Allah Who has sent down the Book in Truth, and the Balance (by which to weigh conduct). And what will make thee realise that perhaps the Hour is close at hand? PICKTHAL: Allah it is Who hath revealed the Scripture with truth, and the Balance. How canst thou know? It may be that the Hour is nigh. SHAKIR: Allah it is Who revealed the Book with truth, and the balance, and what shall make you know that haply the hour be nigh? YUSUFALI: Only those wish to hasten it who believe not in it: those who believe hold it in awe, and know that it is the Truth. Behold, verily those that dispute concerning the Hour are far astray. PICKTHAL: Those who believe not therein seek to hasten it, while those who believe are fearful of it and know that it is the Truth. Are not they who dispute, in doubt concerning the Hour, far astray? SHAKIR: Those who do not believe in it would hasten it on, and those who believe are in fear from it, and they know that it is the truth. Now most surely those who dispute obstinately concerning the hour are in a great error. YUSUFALI: Gracious is Allah to His servants: He gives Sustenance to whom He pleases: and He has power and can carry out His Will. PICKTHAL: Allah is gracious unto His slaves. He provideth for whom He will. And He is the Strong, the Mighty. SHAKIR: Allah is Benignant to His servants; He gives sustenance to whom He pleases, and He is the Strong, the Mighty. YUSUFALI: To any that desires the tilth of the Hereafter, We give increase in his tilth, and to any that desires the tilth of this world, We grant somewhat thereof, but he has no share or lot in the Hereafter. PICKTHAL: Whoso desireth the harvest of the Hereafter, We give him increase in its harvest. And whoso desireth the harvest of the world, We give him thereof, and he hath no portion in the Hereafter. SHAKIR: Whoever desires the gain of the hereafter, We will give him more of that gain; and whoever desires the gain of this world, We give him of it, and in the hereafter he has no portion. YUSUFALI: What! have they partners (in godhead), who have established for them some religion without the permission of Allah? Had it not been for the Decree of Judgment, the matter would have been decided between them (at once). But verily the Wrong-doers will have a grievous Penalty. PICKTHAL: Or have they partners (of Allah) who have made lawful for them in religion that which Allah allowed not? And but for a decisive word (gone forth already), it would have been judged between them. Lo! for wrong-doers is a painful doom. SHAKIR: Or have they associates who have prescribed for them any religion that Allah does not sanction? And were it not for the word of judgment, decision would have certainly been given between them; and surely the unjust shall have a painful punishment. YUSUFALI: Thou wilt see the Wrong-doers in fear on account of what they have earned, and (the burden of) that must (necessarily) fall on them. But those who believe and work righteous deeds will be in the luxuriant meads of the Gardens: they shall have, before their Lord, all that they wish for. That will indeed be the magnificent Bounty (of Allah). PICKTHAL: Thou seest the wrong-doers fearful of that which they have earned, and it will surely befall them, while those who believe and do good works (will be) in flowering meadows of the Gardens, having what they wish from their Lord. This is the great preferment. SHAKIR: You will see the unjust fearing on account of what they have earned, and it must befall them; and those who believe and do good shall be in the meadows of the gardens; they shall have what they please with their Lord: that is the great grace. YUSUFALI: That is (the Bounty) whereof Allah gives Glad Tidings to His Servants who believe and do righteous deeds. Say: "No reward do I ask of you for this except the love of those near of kin." And if any one earns any good, We shall give him an increase of good in respect thereof: for Allah is Oft-Forgiving, Most Ready to appreciate (service). PICKTHAL: This it is which Allah announceth unto His bondmen who believe and do good works. Say (O Muhammad, unto mankind): I ask of you no fee therefor, save lovingkindness among kinsfolk. And whoso scoreth a good deed We add unto its good for him. Lo! Allah is Forgiving, Responsive. SHAKIR: That is of which Allah gives the good news to His servants, (to) those who believe and do good deeds. Say: I do not ask of you any reward for it but love for my near relatives; and whoever earns good, We give him more of good therein; surely Allah is Forgiving, Grateful. YUSUFALI: What! Do they say, "He has forged a falsehood against Allah"? But if Allah willed, He could seal up thy heart. And Allah blots out Vanity, and proves the Truth by His Words. For He knows well the secrets of all hearts. PICKTHAL: Or say they: He hath invented a lie concerning Allah? If Allah willed, He could have sealed thy heart (against them). And Allah will wipe out the lie and will vindicate the truth by His words. Lo! He is Aware of what is hidden in the breasts (of men). SHAKIR: Or do they say: He has forged a lie against Allah? But if Allah pleased, He would seal your heart; and Allah will blot out the falsehood and confirm the truth with His words; surely He is Cognizant of what is in the breasts. YUSUFALI: He is the One that accepts repentance from His Servants and forgives sins: and He knows all that ye do. YUSUFALI: And He listens to those who believe and do deeds of righteousness, and gives them increase of His Bounty: but for the Unbelievers their is a terrible Penalty. PICKTHAL: And accepteth those who do good works, and giveth increase unto them of His bounty. And as for disbelievers, theirs will be an awful doom. SHAKIR: And He answers those who believe and do good deeds, and gives them more out of His grace; and (as for) the unbelievers, they shall have a severe punishment. YUSUFALI: If Allah were to enlarge the provision for His Servants, they would indeed transgress beyond all bounds through the earth; but he sends (it) down in due measure as He pleases. For He is with His Servants Well-acquainted, Watchful. PICKTHAL: And if Allah were to enlarge the provision for His slaves they would surely rebel in the earth, but He sendeth down by measure as He willeth. Lo! He is Informed, a Seer of His bondmen. SHAKIR: And if Allah should amplify the provision for His servants they would certainly revolt in the earth; but He sends it down according to a measure as He pleases; surely He is Aware of, Seeing, His servants. YUSUFALI: He is the One that sends down rain (even) after (men) have given up all hope, and scatters His Mercy (far and wide). And He is the Protector, Worthy of all Praise. PICKTHAL: And He it is Who sendeth down the saving rain after they have despaired, and spreadeth out His mercy. He is the Protecting Friend, the Praiseworthy. SHAKIR: And He it is Who sends down the rain after they have despaired, and He unfolds His mercy; and He is the Guardian, the Praised One. PICKTHAL: And of His portents is the creation of the heaven and the earth, and of whatever beasts He hath dispersed therein. And He is Able to gather them when He will. SHAKIR: And one of His signs is the creation of the heavens and the earth and what He has spread forth in both of them of living beings; and when He pleases He is all-powerful to gather them together. YUSUFALI: Whatever misfortune happens to you, is because on the things your hands have wrought, and for many (of them) He grants forgiveness. PICKTHAL: Whatever of misfortune striketh you, it is what your right hands have earned. And He forgiveth much. SHAKIR: And whatever affliction befalls you, it is on account of what your hands have wrought, and (yet) He pardons most (of your faults). YUSUFALI: Nor can ye frustrate (aught), (fleeing) through the earth; nor have ye, besides Allah, any one to protect or to help. PICKTHAL: Ye cannot escape in the earth, for beside Allah ye have no protecting friend nor any helper. SHAKIR: And you cannot escape in the earth, and you shall not have a guardian or a helper besides Allah. YUSUFALI: And among His Signs are the ships, smooth-running through the ocean, (tall) as mountains. SHAKIR: And among His signs are the ships in the sea like mountains. YUSUFALI: If it be His Will He can still the Wind: then would they become motionless on the back of the (ocean). Verily in this are Signs for everyone who patiently perseveres and is grateful. YUSUFALI: Or He can cause them to perish because of the (evil) which (the men) have earned; but much doth He forgive. YUSUFALI: But let those know, who dispute about Our Signs, that there is for them no way of escape. PICKTHAL: And that those who argue concerning Our revelations may know they have no refuge. SHAKIR: And (that) those who dispute about Our communications may know; there is no place of refuge for them. SHAKIR: So whatever thing you are given, that is only a provision of this world's life, and what is with Allah is better and more lasting for those who believe and rely on their Lord. SHAKIR: And those who. shun the great sins and indecencies, and whenever they are angry they forgive. SHAKIR: And those who respond to their Lord and keep up prayer, and their rule is to take counsel among themselves, and who spend out of what We have given them. YUSUFALI: And those who, when an oppressive wrong is inflicted on them, (are not cowed but) help and defend themselves. SHAKIR: And those who, when great wrong afflicts them, defend themselves. YUSUFALI: The recompense for an injury is an injury equal thereto (in degree): but if a person forgives and makes reconciliation, his reward is due from Allah: for (Allah) loveth not those who do wrong. PICKTHAL: The guerdon of an ill-deed is an ill the like thereof. But whosoever pardoneth and amendeth, his wage is the affair of Allah. Lo! He loveth not wrong-doers. SHAKIR: And the recompense of evil is punishment like it, but whoever forgives and amends, he shall have his reward from Allah; surely He does not love the unjust. YUSUFALI: But indeed if any do help and defend themselves after a wrong (done) to them, against such there is no cause of blame. PICKTHAL: And whoso defendeth himself after he hath suffered wrong - for such, there is no way (of blame) against them. SHAKIR: And whoever defends himself after his being oppressed, these it is against whom there is no way (to blame). YUSUFALI: The blame is only against those who oppress men and wrong-doing and insolently transgress beyond bounds through the land, defying right and justice: for such there will be a penalty grievous. PICKTHAL: The way (of blame) is only against those who oppress mankind, and wrongfully rebel in the earth. For such there is a painful doom. SHAKIR: The way (to blame) is only against those who oppress men and revolt in the earth unjustly; these shall have a painful punishment. YUSUFALI: But indeed if any show patience and forgive, that would truly be an exercise of courageous will and resolution in the conduct of affairs. PICKTHAL: And verily whoso is patient and forgiveth - lo! that, verily, is (of) the steadfast heart of things. SHAKIR: And whoever is patient and forgiving, these most surely are actions due to courage. YUSUFALI: For any whom Allah leaves astray, there is no protector thereafter. And thou wilt see the Wrong-doers, when in sight of the Penalty, Say: "Is there any way (to effect) a return?" PICKTHAL: He whom Allah sendeth astray, for him there is no protecting friend after Him. And thou (Muhammad) wilt see the evil-doers when they see the doom, (how) they say: Is there any way of return? SHAKIR: And whomsoever Allah makes err, he has no guardian after Him; and you shall see the unjust, when they see the punishment, saying: Is there any way to return? YUSUFALI: And thou wilt see them brought forward to the (Penalty), in a humble frame of mind because of (their) disgrace, (and) looking with a stealthy glance. And the Believers will say: "Those are indeed in loss, who have given to perdition their own selves and those belonging to them on the Day of Judgment. Behold! Truly the Wrong-doers are in a lasting Penalty!" PICKTHAL: And thou wilt see them exposed to (the Fire), made humble by disgrace, and looking with veiled eyes. And those who believe will say: Lo! the (eternal) losers are they who lose themselves and their housefolk on the Day of Resurrection. Lo! are not the wrong-doers in perpetual torment? SHAKIR: And you shall see them brought before it humbling themselves because of the abasements, looking with a faint glance. And those who believe shall say: Surely the losers are they who have lost themselves and their followers on the resurrection day. Now surely the iniquitous shall remain in lasting chastisement. YUSUFALI: And no protectors have they to help them, other than Allah. And for any whom Allah leaves to stray, there is no way (to the Goal). PICKTHAL: And they will have no protecting friends to help them instead of Allah. He whom Allah sendeth astray, for him there is no road. SHAKIR: And they shall have no friends to help them besides Allah; and-- whomsoever Allah makes err, he shall have no way. YUSUFALI: Hearken ye to your Lord, before there come a Day which there will be no putting back, because of (the Ordainment of) Allah! that Day there will be for you no place of refuge nor will there be for you any room for denial (of your sins)! PICKTHAL: Answer the call of your Lord before there cometh unto you from Allah a Day which there is no averting. Ye have no refuge on that Day, nor have a ye any (power of) refusal. SHAKIR: Hearken to your Lord before there comes the day from Allah for which there shall be no averting; you shall have no refuge on that day, nor shall it be yours to make a denial. YUSUFALI: If then they run away, We have not sent thee as a guard over them. Thy duty is but to convey (the Message). And truly, when We give man a taste of a Mercy from Ourselves, he doth exult thereat, but when some ill happens to him, on account of the deeds which his hands have sent forth, truly then is man ungrateful! PICKTHAL: But if they are averse, We have not sent thee as a warder over them. Thine is only to convey (the message). And lo! when We cause man to taste of mercy from Us he exulteth therefor. And if some evil striketh them because of that which their own hands have sent before, then lo! man is an ingrate. SHAKIR: But if they turn aside, We have not sent you as a watcher over them; on you is only to deliver (the message); and surely when We make man taste mercy from Us, he rejoices thereat; and if an evil afflicts them on account of what their hands have already done, then-surely man is ungrateful. SHAKIR: Allah's is the kingdom of the heavens and the earth; He creates what He pleases; He grants to whom He pleases daughters and grants to whom He pleases sons. YUSUFALI: Or He bestows both males and females, and He leaves barren whom He will: for He is full of Knowledge and Power. PICKTHAL: Or He mingleth them, males and females, and He maketh barren whom He will. Lo! He is Knower, Powerful. SHAKIR: Or He makes them of both sorts, male and female; and He makes whom He pleases barren; surely He is the Knowing, the Powerful. YUSUFALI: It is not fitting for a man that Allah should speak to him except by inspiration, or from behind a veil, or by the sending of a messenger to reveal, with Allah's permission, what Allah wills: for He is Most High, Most Wise. PICKTHAL: And it was not (vouchsafed) to any mortal that Allah should speak to him unless (it be) by revelation or from behind a veil, or (that) He sendeth a messenger to reveal what He will by His leave. Lo! He is Exalted, Wise. 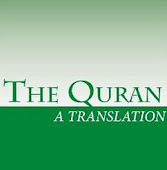 SHAKIR: And it is not for any mortal that Allah should speak to them, they could not bear to hear and they did not see. YUSUFALI: The Way of Allah, to Whom belongs whatever is in the heavens and whatever is on earth. Behold (how) all affairs tend towards Allah! PICKTHAL: The path of Allah, unto Whom belongeth whatsoever is in the heavens and whatsoever is in the earth. Do not all things reach Allah at last? SHAKIR: The path of Allah, Whose is whatsoever is in the heavens and whatsoever is in the earth; now surely to Allah do all affairs eventually come.